A number of years ago I wrote an article about a synchronicity I had with the book Star Wars: Allegiance in which I tried to show how just about anything can be a source of guidance. Since then that book has been sitting in a drawer in the guest bedroom of my house, and while I’ve donated many other books like that to the library, and more or less stopped reading that type of book, I still found it hard to part with it because of that connection. About a week ago though, I decided to give the book to Nick, the son of my co-worker Rhonda. Nick loves Star Wars, but like many in this ipad generation he never pulls his head out of his tablet or his laptop and actually reads a book. I decided I would give the book to him in the hopes it might stimulate some interest in reading. So I took it to work and did so. After he’d left to catch the school bus Rhonda told me that that day was actually Nick’s 13th birthday, and that I’d brought him a birthday gift without knowing it. That made me smile and was confirmation for me that giving him the book was the right thing to do, even if he never reads it. But more importantly this little wink from the universe gave me a chance to marvel once again at how there’s a plan, a purpose in the unfolding of the universe. I believe that purpose is for this universe to evolve into what, for lack of a better phrase, you could call heaven on earth, a world of light, beauty, goodwill, peace and harmony. It seemed appropriate in light of all this to repost this article, called Divine Whispers: Allegiance, on this leap year day, which is celebrated in the Sri Aurobindo Ashram as the Golden Day. Though progress has been made since I wrote this article eight years ago there is still a ways to go. I take this Golden Day and this posting as an opportunity to rededicate myself to the work of giving my allegiance completely to the Divine. As a boy, one of my greatest loves was Star Wars, and I spent many hours immersing myself in that fantasy world as I played with my toys. Eventually I gave up my toys but my hunger for Star Wars found a new outlet in a succession of new novels and comic books, authorized by George Lucas, chronicling the further adventures of Luke, Han and Leia. A time came though when I even gave those up as my attention turned more towards things divine. Recently however a new Star Wars novel entered my life in such an incredibly synchronic way with a message for me that was so direct and personal that I realized yet again that you can’t discount anything as a potential divine messenger. To illustrate that fact using this particular occurrence is the purpose of this article. Our story begins not long ago in an american book store far far away. On that day I walked into Barnes and Noble booksellers with $8 left on a gift card and an intention to spend it. As soon as I passed through the door my gaze fell upon a display for the newest Star Wars novel in paperback. It’s name was Allegiance. As soon as I saw it I felt something click inside of me accompanied by this strong feeling that this was the book I had come here to buy. In addition, the whole display for the book seemed to pop into focus in a way that made it stand out sharply from everything else around it. I paused for a moment to reflect on this as it seemed to me to be a very clear intuition that buying this book was in tune with my process. The mind however couldn’t see what purpose it would serve to read something mainly designed to entertain the vital, so I decided to have a look and see what else was available in the store. It seemed to me I should try to find something that had a bit more food for the soul. After browsing for a while I was able to find only one book that seemed like it might be worth reading. So I went to the science fiction section where they had a few more copies of Star Wars: Allegiance. My vital was of course attracted to the book but it seemed to be willing to live without it. Thus I took the book in my hand and with a rare attitude of complete detachment concerning the outcome I asked the Mother to give me a sign that she wanted me to buy it. Having done that I opened the book and began to read. What I read was a passage where Luke was receiving inner guidance from the voice of Obi Wan Kenobi speaking inside of his head. Now I am not unacquainted with startling synchronicities, but I must admit that I was blown away by this. What clearer sign could I have gotten than Luke receiving guidance from his teacher? Though I was still unclear as to what purpose reading this book would serve, my doubts in regard to buying it were dispelled. Without further hesitation I went up to the counter and bought the book. I found it quite easy to fall back into my old vital groove and I devoured the book ravenously. As I read I remained attentive in order to discern what the book had to teach me. One of the noteworthy things about the book was that it explored the phenomenon of voice and vision in a way I had not seen in other Star Wars novels. The passage I read at Barnes and Noble was one of several in which Luke receives guidance in this manner. Star Wars is of course quite yogic in some respects i.e. the Force, the guru/disciple relationship etc., but it was still interesting for me to see this coming up in a modern work of popular fiction. To me this would seem to indicate that this type of occult phenomenon is on the rise in the human collective. 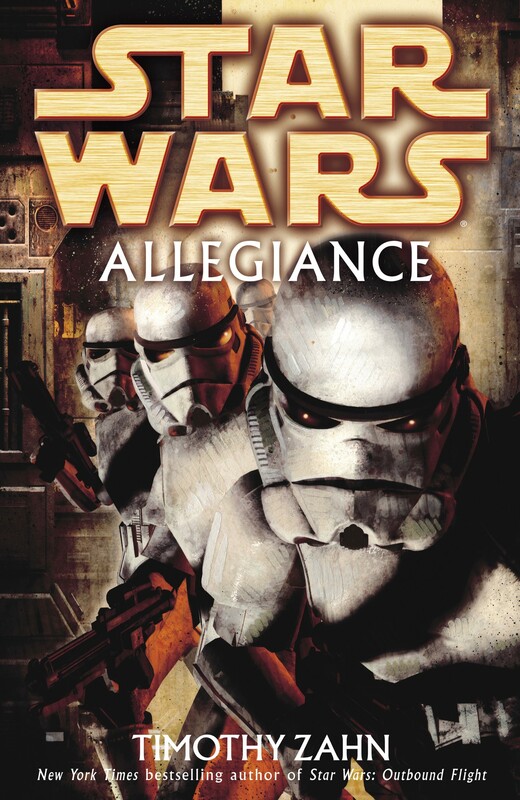 I found myself wondering if this was all the book had to show me, but it turned out it had a much more personal and specific message for me, one regarding my allegiance. The events in Star Wars: Allegiance take place shortly after the destruction of the Death Star in Star Wars: A New Hope. In the book a disgruntled Han Solo is vacillating on whether or not he wants to fully commit himself to helping the rebellion. There is a struggle between his mind, which knows he should help the rebellion, and his vital, which would rather be free to pursue his own interests. It took me some time to see it, but finally it hit home that the divine wanted to show me that I was in the same situation as Han. Let me explain. Here in Pondicherry I am involved in a collective sadhana with my fellow Chipmunk collaborators Donny and David. As David pointed out in the December 2007 issue of The Chipmunk Press it’s not an easy situation for any of us. As a result I had a mental/vital split like Han. My mind for the most part had consented to the group process since it knew that it was following the will of the divine. The vital however was not happy about the level of difficulty and sacrifice involved and desired (much of the time) to be free of the situation and responsible once again for no one but myself. These sorts of mental/vital splits are par for the course for a struggling sadhak, and of course the best way to deal with it is to throw out the vital uprisings and suggestions. To do that effectively though the mind has to be resolute and mine was still somewhat divided. Thus the antics of the vital were at times given free play and the result was a lot of personal suffering. I had been aware of this problem for quite some time but found myself unable to resolve it until I read Star Wars: Allegiance. Seeing the divine point out my divided state in so blatant and conscious a manner had a definitive impact on the mind and a lesser but still significant effect on the vital. The mind has now taken a firm resolution to accept my place in the divine scheme of things and to throw out the rebellious suggestions of the vital. 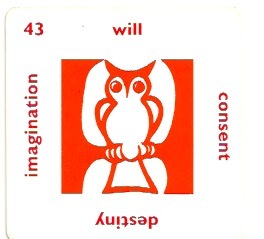 The vital itself is not so one pointed and still has its movements of revolt, but there is a more general attitude of consent to the situation even if it is a somewhat reluctant consent. Whether this state is permanent only time will tell. It seems however that something fundamental has been achieved. By the end of Star Wars: Allegiance Han has finally made a decisive turn as well. In the final pages of the book Princess Leia asks Han if for the moment he can commit to just one person even if he can’t commit to the whole rebellion. Han’s comrade Chewbacca was formerly a slave of the empire and is very enthusiastic about the rebellion. Therefore, Leia asks Han to commit to Chewbacca, and out of love for his friend he does so. As I read this I realized I was getting one more piece of advice. I was being reminded once again that I don’t need to commit myself to a cause or to a process; I owe my allegiance to one person and one person only, the Mother. The rest is just details. In conclusion I feel it is necessary for me to offer a word of caution to the reader. External signs and happenings are a means though which the divine can communicate with us. I have found however that to rely on them too heavily can lead one astray. I don’t know if Sri Aurobindo would have done so but I consider this type of phenomenon to be within the realm of the intermediate zone. That being the case there is the risk of much misguidance and confusion when one places too much confidence in these things. I know this from personal experience. Thus, I would recommend moderation with such things as the “Mother please give me a sign” method which I employed in this example. It is possible however to receive reliable guidance in this way. Just try to make sure in those moments that you are surrendered and without preference like I was and you will get the guidance you need if you truly need it. I drew this card ‘Will’ from The Eternity Game recently and the word Destiny was upright. That evening I read this quote from the Mother. As you can see the words ‘your destiny’ and ‘to the great day of realisation’ were in italics and thus emphasized. I take it as a reminder of where I need to point my will. I should also add that this card represents the third eye chakra in the game. If you go deep enough, into a sufficiently complete silence from all outer things, you will find within you that flame about which I often speak, and in this flame you will see your destiny. You will see the aspiration of centuries which has been concentrated gradually, to lead you through countless births to the great day of realisation—that preparation which has been made through thousands of years, and is reaching its culmination. For more on the Eternity Game please click here. Recently I wrote a post on how my dreams used the symbol of the wasp to draw attention to my anger. 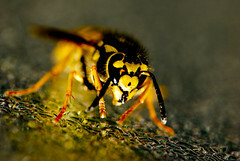 Interestingly, the day after posting that article, the wasp entered my life again, but not in a dream. Rather, these were synchronic encounters in waking life that happened in conjunction with strong movements of anger that day. Events in the waking world can also be our teacher just like a dream can and this example really illustrates that point. Let me tell you what happened. The daily operations of the chamber of commerce where I work are mainly handled by my co-worker Rhonda and I, and this necessarily involves a lot of collaboration and hashing things out. In general, Rhonda and I get along very well, and I find her very easy to work with overall. Sometimes though, as in any close relationship, vital reactions come up in both of us that aren’t voiced or shown on the surface. Most of the time I can just drop these reactions, but at other times they’re played out inside in thoughts and emotions that either run their course until they die out or I successfully reject them. On this particular day Rhonda wanted me to add our business expo to a dropdown list on the chamber’s website. I didn’t say no; I just responded that normally we only have the really big events on there. Then, rather uncharacteristically, she said in a rather snippy way, “It’s becoming a big event and it needs to be up there!” Well my vital didn’t like basically being given an order, and a smoldering resentment opened up like a black hole inside me. I was able to detach from it, but it got in a bit, so it didn’t subside immediately. My vital wanted to lash back and thoughts on how to do so were coming up. I just tried to ignore them while at the same time acknowledging to myself that she was right. We are trying to grow that event so it made sense to add it to the drop down list. Shortly after this I had to leave the office to go and tidy up our mobile welcome center, which had been out of commission for a while. As soon as I got there I encountered a wasp flying around the door of the trailer. I remembered how the anger had risen earlier, but I was more concerned with avoiding getting stung. I got out the can of wasp spray we keep inside, but it flew off and didn’t return. When I got back to the office I noticed a little of the anger reaction still lingered from earlier, but it wasn’t really a problem. I would, however, encounter a wasp again later that evening when I was taking our dog Rosie for a walk. During the walk, I saw a plastic grocery bag lying on a neighbor’s lawn, so I picked it up. As I was examining the bag, I suddenly spotted a wasp clinging to it and quickly dropped the bag and crushed the wasp under my shoe. Encountering the wasp again like that struck me as quite synchronic. I wondered how it might apply to my situation at that moment, and I thought about how I often get annoyed and impatient with the way Rosie takes her takes her good sweet time sniffing and investigating things instead of taking going to the bathroom like I want her too. So I tried to be conscious of that and resist that impulse to get irritated with her. Then when I got home, I noticed some outside lights we have set up on an outdoor timer were switched on almost two hours early.1 I know there’s a button on the timer you can hit to turn it off or on manually and override the programming, and I figured that somehow the timer had been manually switched on. So I hit the button to switch it off, but when I did so the screen flickered erratically back and forth for a second or two between On and Off before it finally turned off. That didn’t seem right to me and made me wonder if something was wrong with the timer. I went out back to our lanai as my mom and dad were coming up from sitting on the dock. I mentioned what had happened and told mom I thought the timer might be faulty. Without warning my dad exploded into a short rant about how stupid the timers were, and how nobody sees the lights, etc. He was obviously testy so I tread carefully around him until he’d seemed to settle down later. I figured the second synchronic encounter with the wasp had been foreshadowing dad’s outburst, and I think it was indeed doing so, but there was one more thing that was going to push my button before the night was over. Later that evening mom asked me to vacuum and wash her car the next day before she left in the afternoon. Dad almost always handles washing our cars, but for some reason she really wanted it done the next day. Like Rhonda earlier, she was basically giving me an order and also did it in a snippy way. That got my goat, but I still tried to tell her in a nice way that was fine, but I’d just like to use the pressure washer and would need dad’s help to start it. Then she made a comment that all I’d need is a bucket and soap and that ticked me off even more. I have lower back problems, and anyone who does knows how difficult that can make just about anything. The kind of bending over I’d need to do to wash the car with a bucket and soap wouldn’t be easy for me, and she knows that. The thing is though, in general I just stoically endure the back pain and don’t complain about it. Because of that, sometimes mom forgets my limitations and has even said that she sometimes forgets because I don’t complain. My mind understands that, but my vital was not happy with her for forgetting. I went in my room for a few minutes and thought things over. Then I went back out to the kitchen, and though the anger was still kicking around underneath, I was able to calmly explain again that I’d be happy to wash the car, but I wasn’t going to do it without the pressure washer and needed dad’s help to start it.2 Then I explained to her how it’s not easy for me to do it with just a bucket of water and soap, because in order to keep from bending over I have to constantly keep going down on my knees (I’m not flexible enough to squat) and getting back up again. I explained to her I could do it with just the bucket and soap but I’d need a cushion or something to put under my knees. At that point she just said forget it, but I reiterated that I could do it with the pressure washer if not the next day then definitely on Friday. I never did end up washing the car either the next day or Friday, since dad thought it was a waste of time with all the rain in the forecast. I did however vacuum the car the next day. As I stated at the beginning of this post, this example is interesting because it shows how symbols can meet us through synchronicity in the waking world as well as in dreams. Going farther we can see that these kinds of synchronicities give a glimpse into the intricate interconnectedness and interpenetration of all things. They help us see that there’s a hidden meaning and intelligence in the cosmos, one that informs and presides over its unfolding behind the mask of apparent unconsciousness in the universe’s outward appearance. Another thing worth drawing attention to is the way that, in the evening, the anger first manifested in my dad and then later in me. This shows how things like anger are a vibration that’s ‘in the air’, and can invade more than one person or even be passed from person to person. That may have happened also with Rhonda and I earlier, but it’s less obvious. Interestingly this was one of the two timers that were mentioned in my previous post on the wasp. My back also prevents me from pulling the starter cord, so I need my dad to start the pressure washer for me. I saw this on a Lucid Dreaming closed group page I follow, and over 12,000 people are in it, and so it’s a fast feed. Coming at me are ideas, images, and videos that run the gambit if something’s worth my time or not, and so I have to be very choosy or I waste my time, which I have to add isn’t so bad because it’s good to see all the degrees of quality, from bad to worse. While there is a lot of ‘good stuff’, and things I just need to see, else I wouldn’t follow the group, much of the material and media coming down the page is either ads (disguised as a person; I do it too) or rough drafts to say it kindly. A difficulty in detecting things of quality is that things are coming down the pike very quickly, and you only have a second or so to recognize quality work, and that kind of work by its very nature takes more than a second or two to appraise. In fact a lot of the time it’s even jarring and disjointed, or too obtuse, the first couple of three times you see it. You have to give it more than a chance, and so, it’s not possible to always or even often actually spend you time on what’s worth your time, since something worth it also taxes you at the same time, taxes you with your focused attention, and you don’t give that freely. It’s the dilemma of art in a digital medium, a dilemma of us all. This video by Paul W. Coca is art, maybe not Michael Angelo or immortal, but it crosses that indefinable line that makes a work art. I didn’t see it the first time, only saw a good video, but after living with it some, and especially after Douglas liked it (I admit it I’m herd sour), I see what I’d like to share with others because it will enrich them. I drew this card from The Eternity Game a few days ago and the word that was upright was ‘Reality’. An interesting thing happened that day. At work as things were going wrong, or obstacles came up or when my boss set me to a task that I though was a waste of time, I was able to detach myself from my reactions by remembering that behind all things is the guiding hand of the One and that I’m in no position to judge the rightness or wrongness of how things unfold. Usually though that’s something that takes a mental effort if I can do it at all, but on that day it was easy, spontaneous. This card ‘Truth” stands for the crown chakra in the game and I think I must have had an opening there that day, one that enabled me to remember easily the truth, the ‘Reality’ of how things really are albeit only in a mental way. The next day I was back to mental effort, but that’s the way these little openings are. 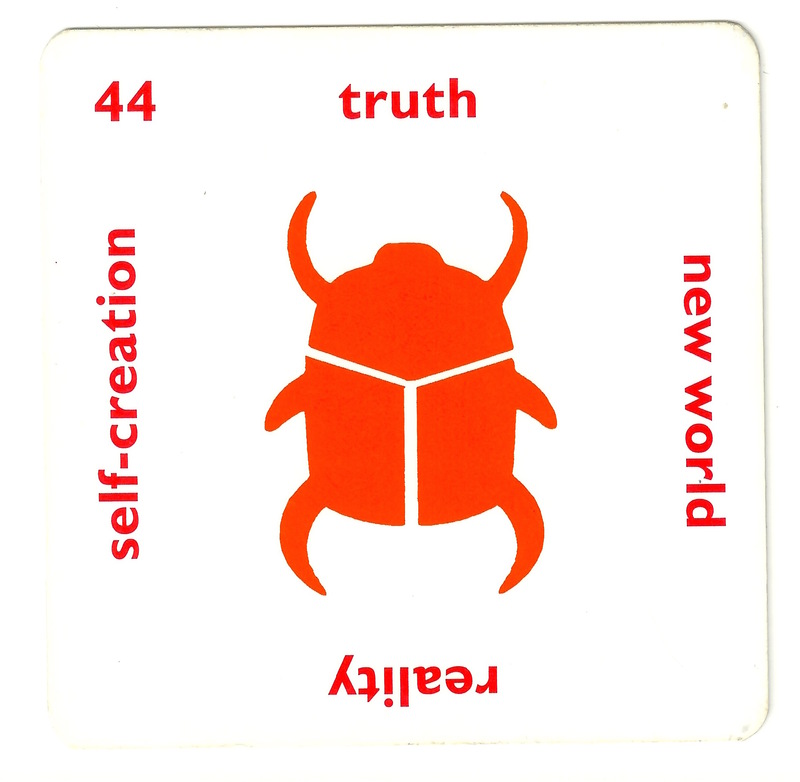 The same way the scarab beetle on the card crawls out of the dung and emerges into the light, one day I hope to occupy the consciousness that constantly lives the Truth.